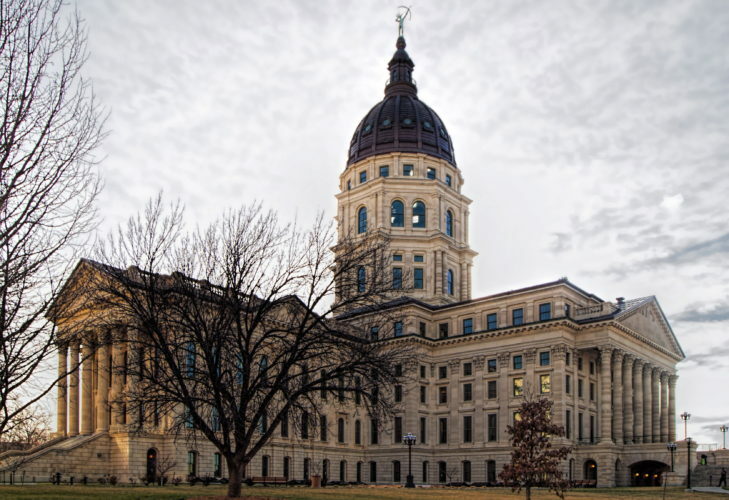 The Kansas Statehouse in Topeka. 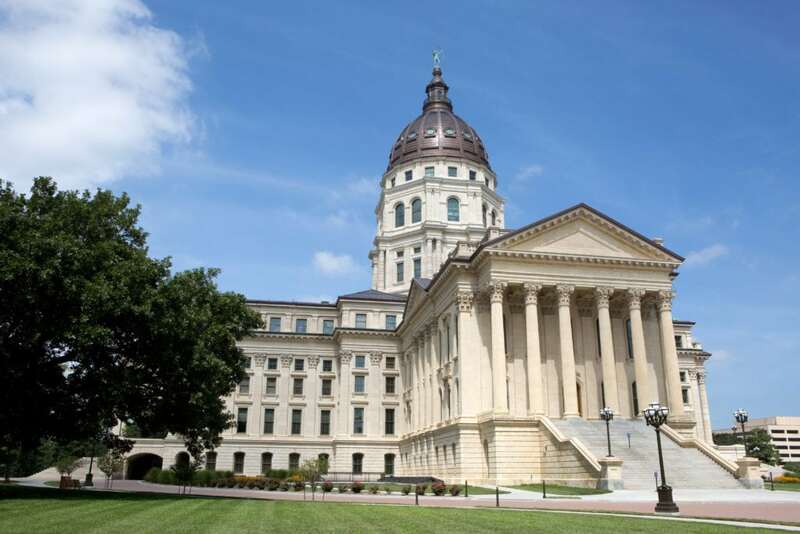 TOPEKA — After taking steps in recent years to shore up the state’s troubled pension system, Kansas lawmakers got good news about the fund’s long-term outlook Monday. Its unfunded liability — how much the pension fund will have to pay out over the next 40 years that isn’t covered by current assets and assumed earnings — fell by $154 million during calendar year 2017, while the overall size of the pension fund grew to $19.5 billion. 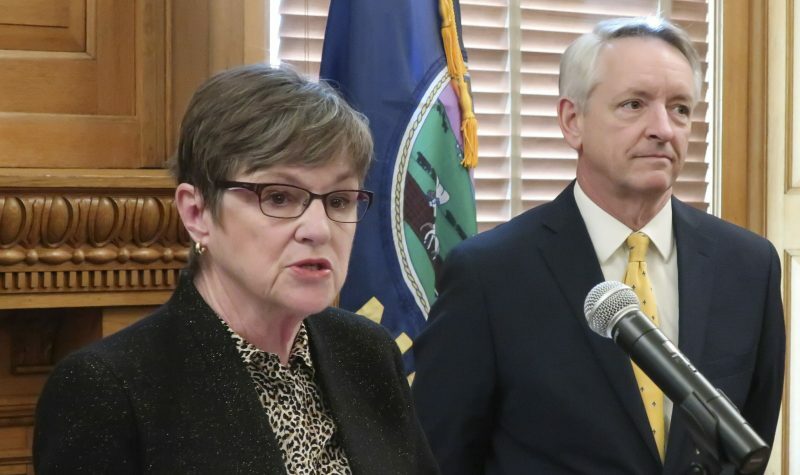 And even though the remaining size of the unfunded liability, at $8.9 billion, may still appear daunting, the head of the Kansas Public Employees Retirement System said the state is now on track to have the entire unfunded liability paid off by 2033, about three years earlier than previously estimated. The unfunded liability does not mean the system is in danger of defaulting on any current obligations. But it does give an indication of the system’s ability to meet its long-term obligations. 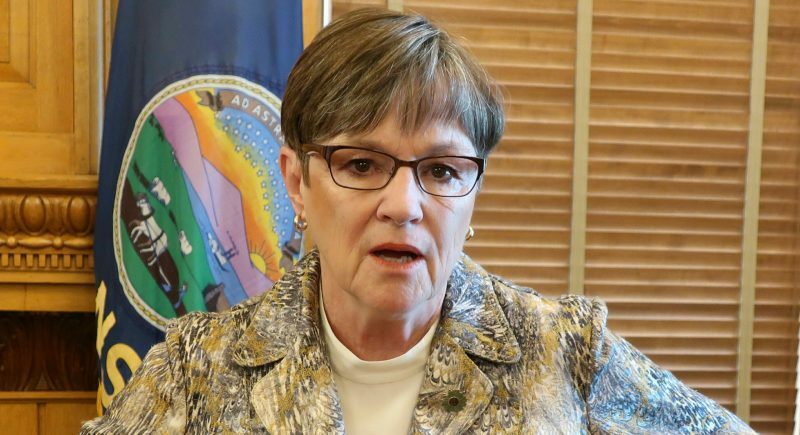 Even after paying off the main unfunded liability, Conroy said, the state will continue to have ongoing obligations to repay money it borrowed to shore up the fund, as well as payments into the system that lawmakers delayed in recent years due to budget shortfalls. The improved results in 2017, Conroy said, were due to larger-than-expected gains in the stock market and on other investments. For the year, he said, the investment portfolio reported earnings of 8.4 percent, far more than the assumed 7.75 percent rate of return that KPERS builds into its long-term projections. “So anything above that (7.75 percent) helps improve the funded status of the trust fund,” Conroy said. In recent years, lawmakers have borrowed money on two separate occasions to provide the fund with immediate infusions of cash. In 2004, the state issued $500 million in pension obligation bonds. Then in 2015, it issued another $1 billion. 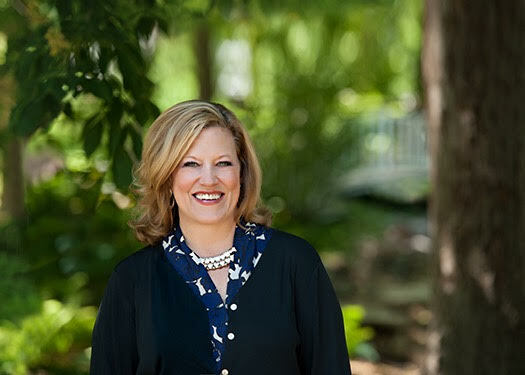 Conroy said both of those moves have proven fruitful so far because the pension fund is earning more interest on that money than it has been paying out to bond holders, resulting in a net gain for the state of a little more than $100 million so far. Both of those bond issues were 30-year notes, so the state will continue payments on them until 2045. Payments for the first $500 million bond issue, at $33 million a year, are funded from profits the state makes from its three gaming casinos, while the $1 billion bond issue is being repaid from the state general fund at a rate of $65 million a year. In addition to those moves, lawmakers also put into place a long-term funding plan. Under that plan, the state gradually increases the amount of money it puts into the fund each year on behalf of state employees. That’s in addition to the amount employees themselves contribute through payroll deductions. For the current fiscal year, which ends June 30, the state expects to contribute $542 million into the fund. That is scheduled to jump to $681 million for the next fiscal year, and eventually to $729 million for the fiscal year that ends June 30, 2025. 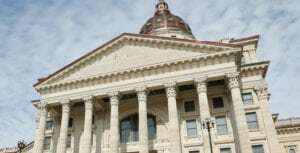 Lawmakers also have passed legislation setting aside up to $56 million in additional funding each year when actual revenue receipts exceed the official projections for that year. Conroy noted that the timeline for paying off the unfunded liability is built on the assumption that lawmakers will stick to that plan, and that the fund will continue to see average earnings rates of 7.75 percent. That, however, hasn’t necessarily been a safe assumption in recent years because of budget shortfalls. In 2017, lawmakers delayed paying $64 million that the state was supposed to put into the fund, and for the current fiscal year, they delayed another $194 million. Both of those delayed payments are scheduled to be repaid with annual payments over the next 20 years. KPERS manages the retirement benefits of more than 300,000 individuals from about 1,500 different employers, including state government, public schools and most of the cities, counties and other local units of government. The system currently has about 152,000 active members who are contributing into the fund, 100,000 retirees drawing benefits and roughly 60,000 “inactive” members who are no longer working for a governmental unit but who have not yet retired.